Every single ‘diet’ on the planet works because of one thing and one thing only. It doesn’t matter that companies create buzz words and target specific foods and label them as ‘bad’ just so that their diet actually works because the reason why their ‘diet’ works isn’t because of the thing that you had to restrict in order to stick to it. It doesn’t work because you’ve gone gluten free, low fat, started a detox or because you’ve fasted for 16 hours. It works because of something a little more simple than that. Know that the magic of why they work is because at the very heart of the diet is a good old calorie deficit. And sure, some of these diets have merit and others are downright ridiculous but the laws of thermodynamics still hold true and in fact are probably the one thing you need to concentrate on the most. So the next time you’re tempted to follow a quick fix, fad diet or the latest weight loss product to hit the market, just remember that the right way to keep the results you want is to better understand nutrition and exercise and not jump on a four week, 500 calories per day crappy program. 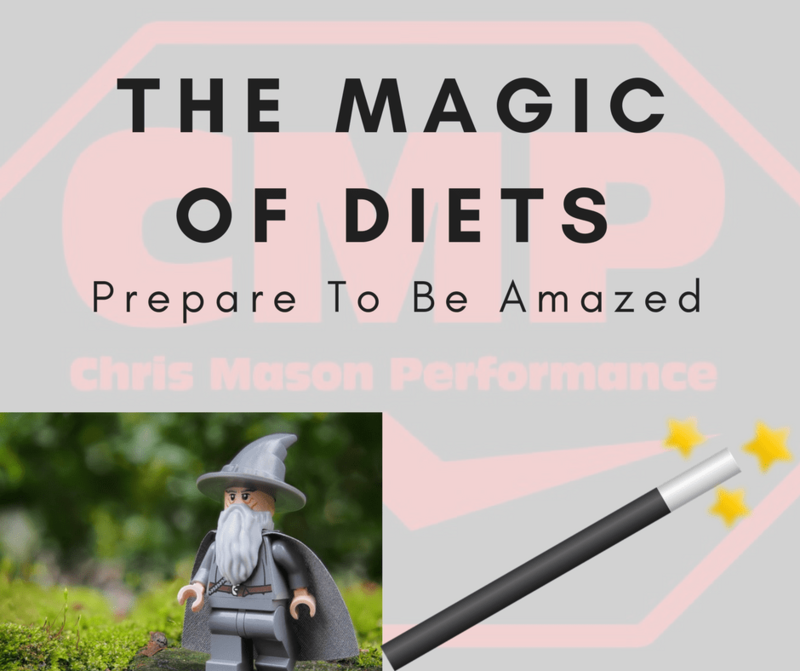 Without a sustainable and maintainable calorie deficit, no amount of B.S. ‘wizardry’ is going to help you achieve the body shape, health and fitness you truly want.